Explanation: Spanning the sky behind the majestic Clouds of Magellan is an unusual stream of gas: the Magellanic Stream. The origin of this gas might hold a clue to origin and fate of our Milky Way's most famous satellite galaxies: the LMC and the SMC. 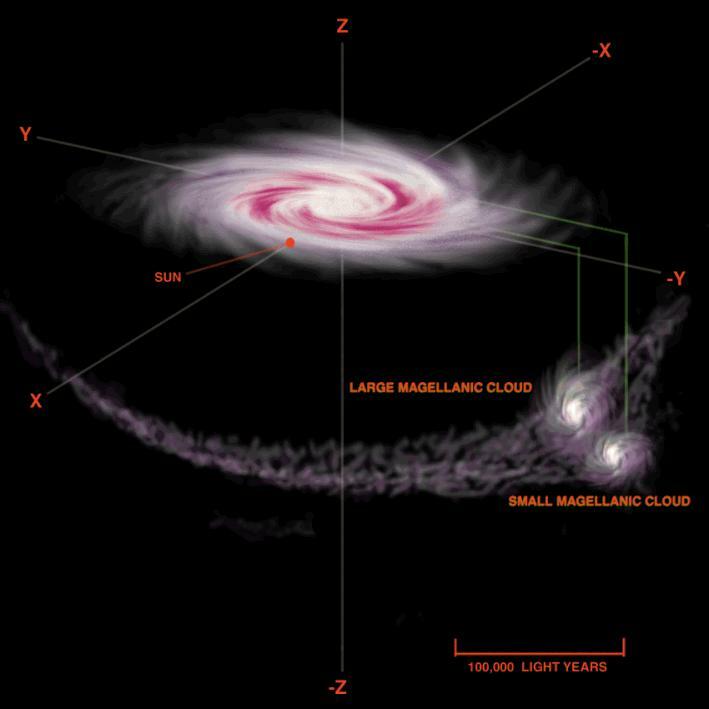 Two leading genesis hypotheses have surfaced: that the stream was created by gas stripped off these galaxies as they passed through the halo of our Milky Way, or that the stream was created by the differential gravitational tug of the Milky Way. Measurements of slight angular motions by the Hipparcos satellite have indicated that the Clouds are leading the Stream. Now, recent radio measurements have located fresh gas emerging from the Clouds, bolstering the later, tidal explanation. 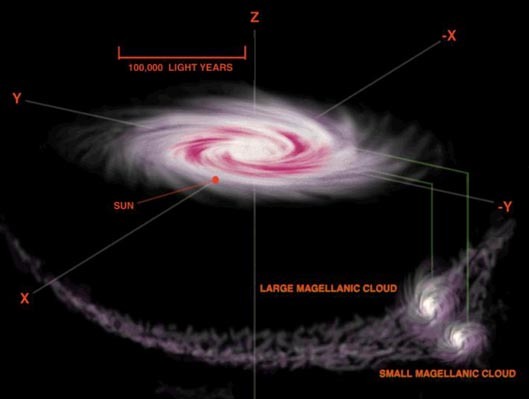 Most probably, in a few hundred million years, the Magellanic Clouds themselves will fall victim to this same tidal force.